For half a century chemical fire engines put out 80% of our fires, amd saved untold millions of dollars worth of property in spite of the fact that they never did perform as advertised! The fascinating era of chemical fire engines spanned the most dynamic period of transition in the history of firefighting - the transition from hand engine to steam engine to motorized fire apparatus. Although the chemical engines never filled a specific void during this transitory period of fire service history, they carved out for themselves a unique niche in fire protection for more than half a century, in spite of their firefighting ability being the most overrated of any fire apparatus ever manufactured. 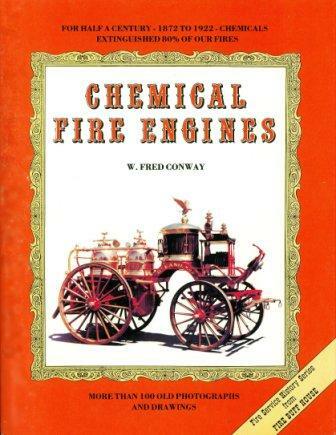 Now, for the first time, the fascinating history of chemical fire engines has been researched and documented in a book that will become a standard reference volume in every fire service library.